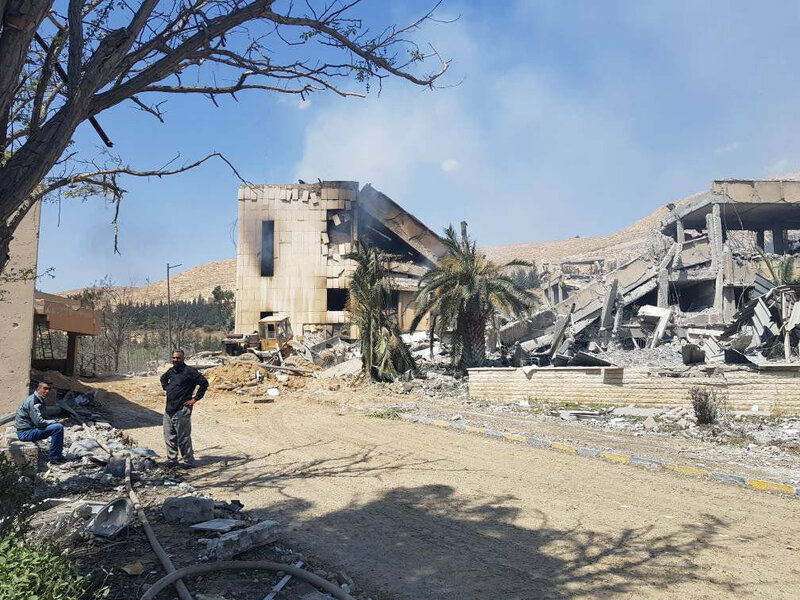 The US-led missile strike against Syria, allegedly aimed at suspected chemical weapon sites, has reportedly resulted in the destruction of a pharmaceutical facility used to produce cancer drugs. The Institution for the Development of Pharmaceutical and Chemical Industries in Barzeh, which was one of the targets of the recent US-led attack against Syria, was used to produce medical drugs which are currently in short supply in the country due to sanctions imposed by the West, Press TV reports. "Since the Syria crisis broke out, the country has been short of all kinds of medicines due to the sanctions from Western countries. Foreign companies stopped exporting high-quality medicines to Syria, especially anti-cancer medicines. So we have been conducting researches on anti-cancer medicines here, and three cancer drugs have been developed," the facility head said. He also remarked that neither he nor his colleagues would’ve been able to remain at the facility like they do now if it contained any chemical weapons like the US authorities claimed. "If there were chemical weapons in the building, we would not be here. My colleagues and I came here at 05:00 this morning. If there were chemical weapons, we would need to wear masks and take other protective measures to be staying here," the man explained. 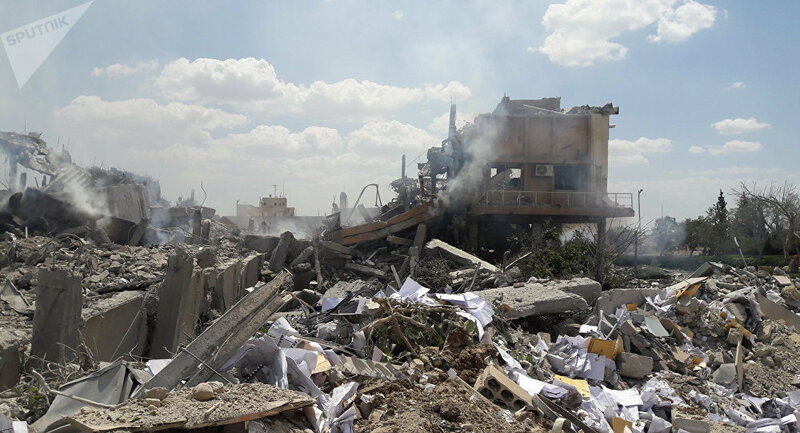 The research center is located in the Barzeh neighborhood near Damascus and is comprised of scientific labs and an educational center, according to the Syrian Arab News Agency. Earlier, the United Kingdom, the United States and France launched strikes at Syria over reports of a chemical attack in the city of Douma, with the three countries firing over 100 missiles at the Middle Eastern country. Most of the missiles, however, were reportedly intercepted by Syrian air defense forces. Syria’s President Bashar Assad has slammed the attack as an act of "aggression" and praised the quality of the Soviet-made weapons from the 1970s that were used by his country to repel the strike.